Healthcare Systems: Regional and Comparative Perspectives in Britain and Ireland, 1850-1960, organised by Sean Lucey, hosted by CHOMI, UCD, June, 2012. When smallpox broke out in Dublin in 1902 the municipal council reacted promptly. With 255 confirmed cases in the city’s overcrowded tenements, and a further 1,400 requiring isolation, this threatened to become a major epidemic. Despite its reputation for inefficiency, the council launched an impressive campaign to contain the disease. As existing fever-beds in the voluntary hospitals rapidly filled, the city’s Fever Refuge, a stand-by isolation unit, swung into action and expanded its facilities. Soon the council had to contract a private convalescent home to handle the overflow. Most impressive of all, however was the building and staffing of a 50-bed temporary hospital in only three weeks. By July 1903 Sir Charles Cameron, Medical Superintendent of Health, reported that the crisis was over. Even the Dublin Sanitary Association, perennial critics of the city’s health provision, congratulated the council on its success. 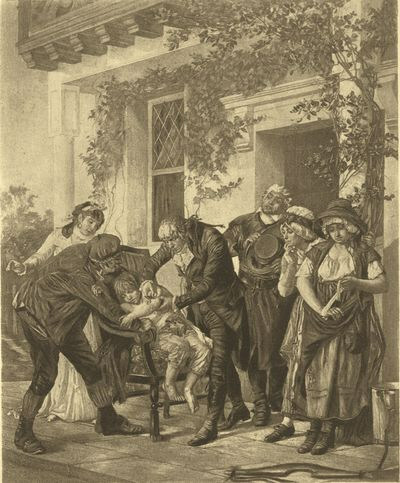 The civic response to the smallpox crisis tells us a great deal about public health provision at the turn of the twentieth century. This paper will consider some key questions emerging from the events of 1902-03. How did the city manage this public health crisis and what role did the voluntary hospitals play? What was the state’s responsibility in the crisis and did it give the city sufficient powers to enforce a resolution? The combined efforts of hospitals, councils and central government had a sudden impact on the lives of the patients and their families. Patients had been removed to hospital, their families were held in isolation, clothing and bedding incinerated and their rooms disinfected. How did those on the receiving end of all this activity react? The council’s legal authority to compel its citizens was far from clear, and interesting challenges to this vigorous public health campaign emerged. While the population was largely cooperative there were some cases of resistance. What do these challenges tell us? The 1902 outbreak also illustrates the relationship between government as legislator, and the city council as service provider. Increasingly, local government was becoming the vehicle for delivering national policies on healthcare and sanitation. In a major overhaul, the 1898 Local Government Act had empowered the city to deal with a wide array of issues, both chronic and acute. The difficulty arose, however, when expensive emergencies called for greater resources than local rates could afford. This paper will consider how, as its role in public health grew, the local council operated between voluntary hospitals and the state. 20 Finally, the paper will assess the Municipal Council’s fight against the 1902-03 outbreak in the context of these evolving relationships. It will argue that Dublin’s voluntary hospital sector was not equipped to cope with such a situation and that only the city had the resources to tackle the crisis. Ciarán Wallace’s research focuses upon urban history during the early modern and modern periods. This includes the role of civil society in national and community identity formation. My doctoral thesis involved a social and economic analysis of local election candidates. He has also worked on aspects of the history of Dublin, and is interested in Scottish-Irish comparisons, civic pageantry, political cartoons and ephemera.